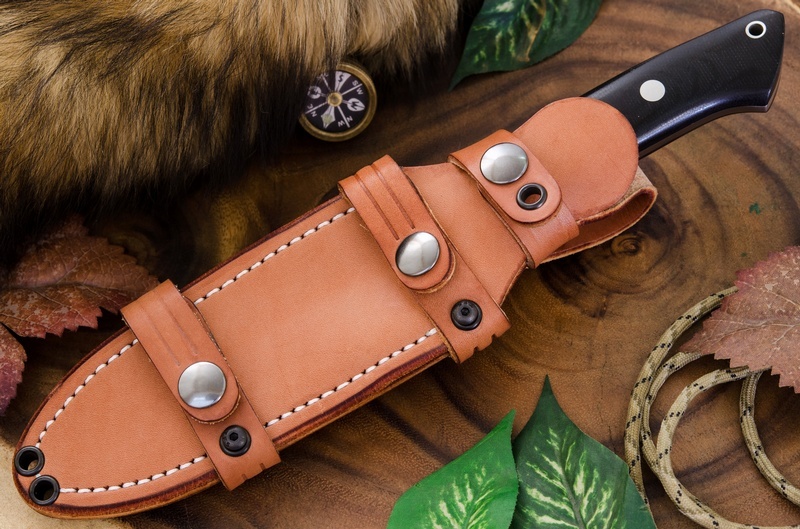 Beautiful Bob Loveless designed Wilderness Knife, made by Barkriver Knives. 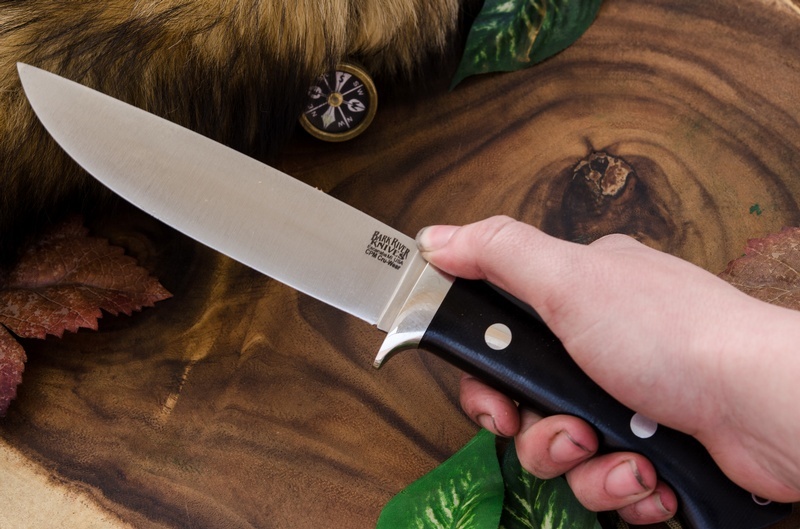 A classic knife, great for Bushcraft, Survival, Hunting and almost any Outdoor application in the Great Wilderness of Canada. Full broad tang, the knife had a non skeletonized tang to create a great balance and high strength. The blade is a superb arched back drop point blade has a very shallow convex grind (could easily be sharpened as a flat) and is made from the World class CPM powder steel, 'Cru-wear'. The knife has solid Stainless pIns and Finger Guard and Lanyard Hole. Really Superb knife, great design, materials and Barkriver Quality. Handle Grain may not be exactly as shown, but is a good representation. 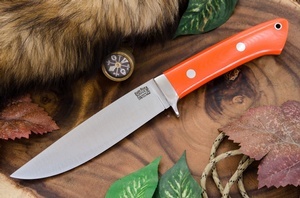 Purchase through PayPal by using the "Add To Cart" button above or use the form below to order the Barkriver Wilderness explorer CPM Cru-wear Blaze Orange G10 . Feel free to contact us if you have any questions about the Barkriver Wilderness explorer CPM Cru-wear Blaze Orange G10 .